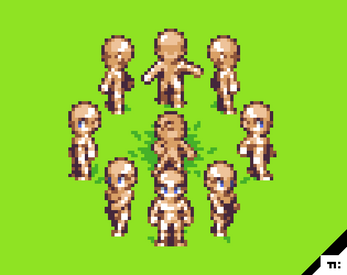 Inspired by classic games like Chrono Trigger or first Final Fantasy installments this 8-directional, top view spritesheet of a male human is a perfect template for a whole series of your original characters or fan-based sprites. 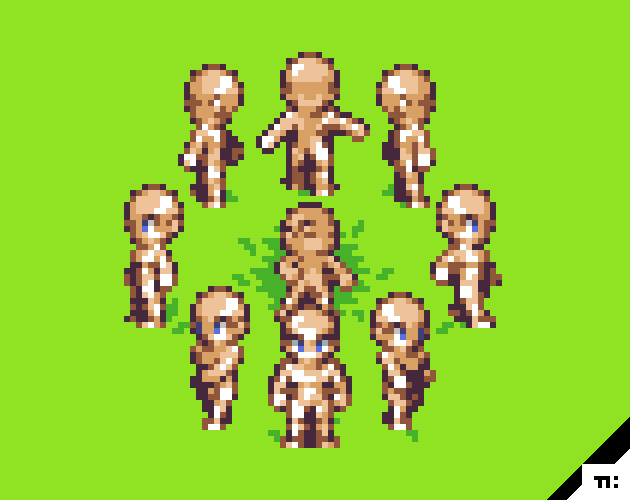 From main heroes to meaningless NPCs, all of them can be created by customizing the base with clothes, hair, tatoos, scars, weapons, armors and basicly anything you want. Suited for any kinds of RPG and Adventure games. how many frames is the walking animations ? Walking animation is 4 frames.